On site testing - we will visit your yard and undertake faecal egg testing using our portable equipment. No special facilities are needed - an empty stable will do. We will also show you what we find. We charge £7.50 per sample based on a minimum of 10 horses. If less than 10 horses please call for prices as these will vary and depend on where you live and the distance travelled. We also offer a comprehensive assessment and management planning service for your yard. This will identify the risk factors involved and provide suggestions to help reduce any worm burdens. All yards are different so prices will vary depending on the complexity of the yard. Please call for details. The effectiveness of any worming programme can be monitored through the use of FEC. Treatment can be targetted at those animals shedding large numbers of eggs. Incorporating FEC into your worming programme may save you money. Whilst faecal egg counts are useful there are limitations which owners should be aware of. The tests cannot detect the presence of encysted or immature strongyles. 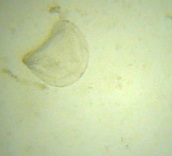 Nor can the tests detect the presence of tapeworms although tapeworm eggs may be seen in samples on occasions. To test for the presence of tapeworm a blood test is required which can be performed by your vet. Despite these limitations it is worth considering undertaking faecal egg counts to avoid unnecessary treatment of animals and to preserve the effectiveness of current anthelmintics (wormers). Anthelmintic resistance is an increasing worldwide problem. Further information can be found by clicking on "The Science" tab.